Keep the Kampung Spirit alive! GrabHitch brings people together and our community is bringing back the KAMPUNG Spirit! Instead of taking the usual taxi, bus or train to work, our Hitch drivers and riders are sharing their cars while headed to the same destinations, and becoming good friends and neighbours in the process! At GrabHitch, we believe that you can meet the nicest people while Hitching. GrabHitch drivers choose their passengers, and they do rides only at their own convenience – there is no commitment! GrabHitch allows drivers to meet new people while travelling to and from home / work / school, without additional hassle! If you’re the only one in your family supporting the team in red, or if you simply want to get more reinforcements, try Hitch and see if you can find a fellow fan! You can even watch a game together with your new friend after your Hitch ride ! 2. New to the neighbourhood? 3. Tired of eating lunch alone or finding good food hard to find? Find your meal buddy through Hitch! They already live/work near you and chances are, they might know a great spot to Grab a bite! Who knows, they might even introduce you to some awesome food in your area! Your next New Year’s bash doesn’t have to be far away! 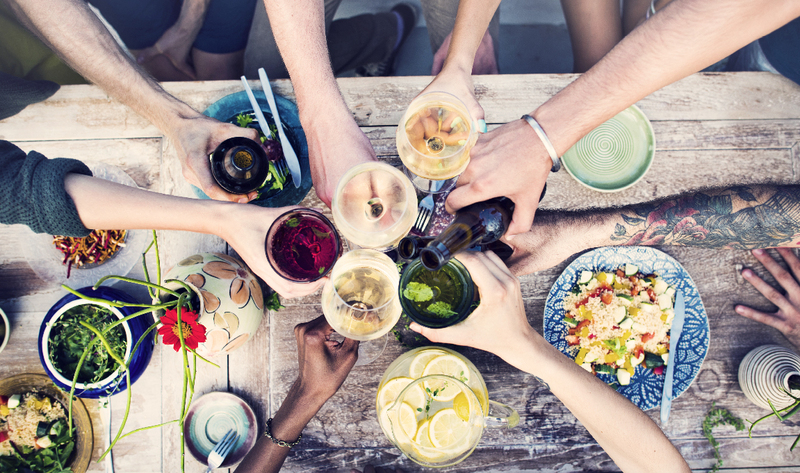 Meet friends in the neighbourhood and you can be sure your next party will be a happening one! GrabHitch is all about working together – whether it’s to make the commutes to and from work more affordable for everyone involved, or even getting each other’s kids to school on time. You’ll both being going the same way, so put your empty seats to good use and you’ll reduce your carbon footprint, recover your petrol costs at the same time. Maximise the utility of your car: your car was built to seat more than one person for a reason – instead of driving to work with seats to spare, make every seat count and do your bit to optimise car use in Singapore. At the same time, car ownership can be a lot more economical than you think. Providing a hitch daily on your regular commute can substantially recover costs of owning a car! Some of our Hitch drivers use it to offset their petrol costs completely. Win-Win! Bring back the Kampung Spirit and Sign-up today! 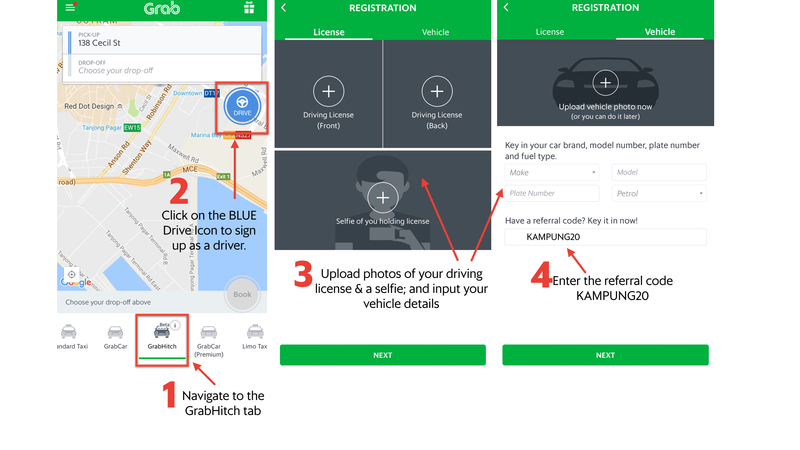 You MUST enter your referral code KAMPUNG20 to get your $20 credit after you completed your first GrabHitch ride as a GrabHitch driver. This incentive is only eligible for new drivers who sign up and successfully complete 1 Hitch ride as a driver between 30th November 2016 @ 00:00 hours – 28th February 2017 @ 12:00 hours.